Richard Anthony Williams, who started out as Principle and now known as Princi lite, is a rising star in his own fame. Born December 23, 1971 in Chelston Gardens, St. Michael Barbados. Princi lite grew up with the love for music. He attended The Princess Margret Secondary School and has since pursued his dreams as one of Barbados’s finest artiste in the music industry. 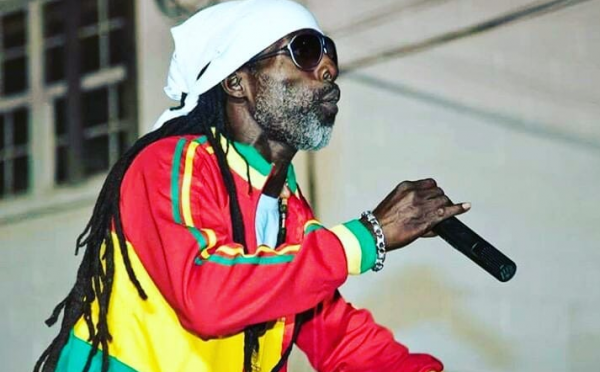 From age of 15 Reggae music and watching various stage shows grew his passion for music. Through the introduction of musically gifted peers including Lucky, Daddy Ifa, Inard and Cleavie encouraged Princi lite to always be singing to his own tunes and lyrics. His love for music grew listening to musicians such as: Capelton, Determine, Bob Marley and Sizzla Kolangi just to name a few. A Bajan artist in the early 90’s, Derrick English took Princi lite under his wing while he lived in St. Thomas. A younger Princi lite used to accompany Derrick English to various rehearsals and performances with admiration, which gave Princi lite the encouragement through mentor teachings to become someone greater. Remoh Productions, now based in England. Joel Lenard Homer is the first producer to work with Princi lite due to their friendship from younger days. Princi lite travelled up to Essex, England to record his first single, “SHOTS”. His career began blooming as he started to spread in stage performances around Barbados’s local bars, hit song “NUH JACKET” won audiences everywhere and is the most requested. Princi lite can be heard ripping the airwaves with songs such as ‘BOOM’ and ‘BETTER BARBADOS’ produced by Up Rising Studios and Blue Cloud Studios. Princi lite is a versatile artiste who prefers to apply the cross-over of storytelling music, reggae and dancehall to his music. He also writes his own lyrics with a positive vibe. His voice is one to listen out for.